Two fantastic films from Douglas Gordon at Warwick Arts Centre from Tuesday next week. Zidane features a mesmerizing score from Mogwai too. . .
Turner Prize-winning artist Douglas Gordon presents two moving image installations, both compelling portraits of virtuoso talents. With mesmerising close-ups, the camera hones in on conductor James Conlon as he leads the unseen Paris Opera Orchestra in a performance of Bernard Herrmann’s famous score for Alfred Hitchcock’s Vertigo (1958). Eighteen monitors follow French footballer, Zinedine Zidane, through the course of an entire match between Real Madrid and Villareal. 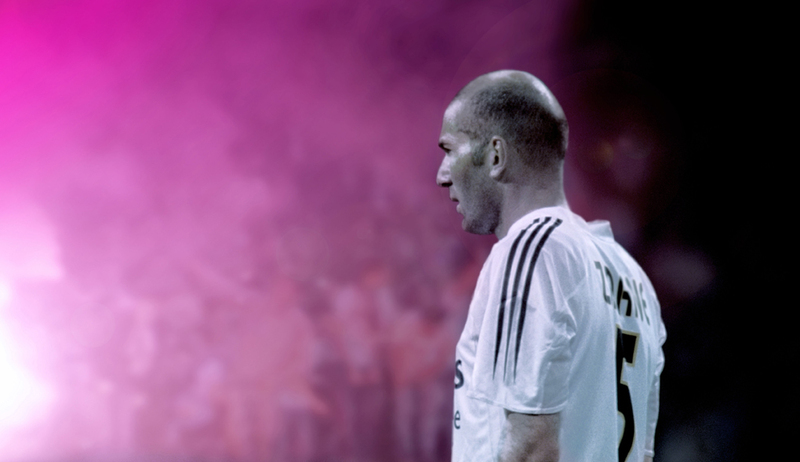 The camera never leaves Zidane and show him immersed in his own space, despite being watched by millions. Next: Reynir Hutber’s exhibition Stay Behind the Line closes on Sunday.